Your education at the National Personal Training Institute doesn’t end with just a diploma. Our alumni are lifetime learners and leaders. Learn about the contributions that they’re making to the fitness industry and their communities. *Graduates: Please e-mail [email protected] to share your story. Rewind to December of 2011 and I’m visiting one of Chris Hitchko’s PT classes in Dublin, he’s talking about muscle imbalances and the lack of focus that many have on the posterior deltoid. I was hooked from the beginning, graduated in 6 months, and ramped up my community bootcamp (http://www.tonept.com, http://www.meetup.com/GetToned-Fitness-Group) to over 200+ members. For my presentation, I put together a spreadsheet that automated a lot of the nutrition calculations and math that we studied in class. Meantime, I met Sri Raghavendra, who I trained midway through the course. It turns out Sri was in the software business, and linked me up with a developer who is now a business partner of mine, along with, you guessed it, Chris Hitchko himself. 18 months and a lot of hard work later, we launched ToneUp (http://www.toneup.us), a mobile app for Personal Trainers, which performs nutrition and fitness analysis. The networking, practical knowledge, and friendships that came from NPTI are priceless, something I am forever grateful for. Thank you NPTI for connecting with me my fellow Personal Training family! I attended the Vienna, VA location and the 6 month program was one of the best times I’ve ever had. The school is so much more than just learning to be a personal trainer. It is a place where you make lifelong friendships and learn how to turn your passion into a business. After graduating from NPTI in July of 2009, I started training people in their homes. I quickly discovered that my preference was the group training environment and started a CrossFit affiliate- Hammer DownCrossFit (http://hammerdowncrossfit.com/). With very little money, and even less clients, I built a CrossFit “Box” out of my home garage. The biggest lesson I’ve learned and what that I hope to pass on to anyone willing to listen is that your business will grow based on the value you deliver to your clients. Part of that value is the knowledge, passion and results you can deliver to those clients. They will bring their friends and they will bring their friends. What started with two clients in the late summer of 2009 and 300 sq. ft. of garage space has now grown to more than 200 people and a 4000 sq. foot fully equipped facility and is continuing to grow. We plan on moving to an 8000 sq. foot facility later this year. Corbin currently runs his own studio called GetReal Training LLC (http://www.facebook.com/GRTLLC) in Upper Bucks County, Pennsylvania. He got in to personal training as a career change due to his other career coming to an end with the economy. There is no end to where you can go in this industry. All you have to do is find your way and NPTI has already set you on the path in the right direction. What better job to have than to be in the gym all the time and make a difference in someone ‘s life! 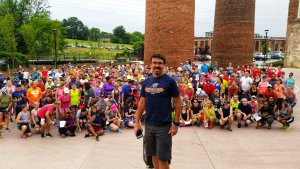 Having a strong passion for fitness, Dan attended the National Personal Training Institute in 2002 to pursue a career in personal fitness training. Realizing that he had a true love for this field, he then continued his studies at Montgomery County Community College where he majored in Exercise Science, and he still serves as a Member of the Health and Fitness Professional Advisory Committee. 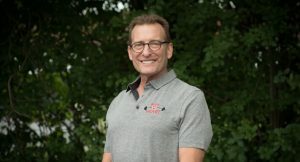 Dan is an authorized provider for the American Red Cross, and certifies personal trainers and the local community in CPR, AED and First Aid. 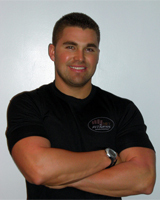 Dan currently owns his own personal training studio in Huntingdon Valley, PA, Hit Fitness Training (http://hitfitnesstraining.com). One of the best decisions that I have ever made was going to NPTI because I now get to do what I love to do. 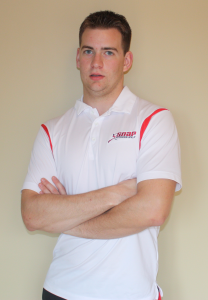 I own an in home personal training business and I also work for Vardy Chiropractic and Wellness Clinics doing rehab. Recently, I started training kids for sport specific training. I am truly passionate about educating people on how to live a healthy lifestyle and to help them reach their goals. Without NPTI, I would not have the education or the tools to do what I love. 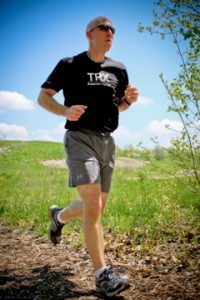 Never Give Up Fitness (http://nevergiveupfitness.com)was founded by Certified Personal Trainer and Marathon Runner, Paul L. Barr. 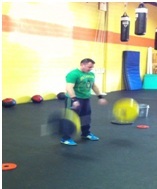 Paul specializes in customizing fitness programs for individuals with physical and mental illness. 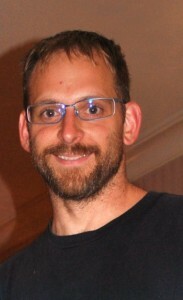 Paul is also a volunteer for the University of Michigan Depression Center Volunteer Committee. At NPTI Chad spent hundreds of hours working hands on with people trying to accomplish different goals at different skill levels preparing him to work with a variety of goals. Chad understands the value of a personal trainer. Outside of his professional training chad has spent several years transforming his own body with the help of personal trainers. He has been able to take himself from 210lbs and 25% body fat to 189lbs and 11% body fat. Pam’s fitness career started when she could no longer ignore the desire to get in the best shape of her life and help others do the same. She left a corporate career and enrolled in NPTI’s program. 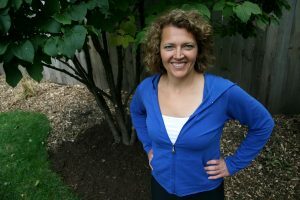 She now owns her own business, Strand Personal Performance, which is devoted to helping 40, 50 and 60 year olds challenge the aging process and stay young, healthy and fit. 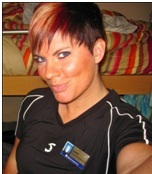 I have been a Certified Personal Trainer for just about a year now and absolutely love my new profession. I see the difference in my client’s lives, the strides they are making and realize this is what I’m meant to do. Since starting my training business (http://CoachMikesPersonalTraining.com) I have started getting involved in my community by becoming a member of the Lockport Chamber of Commerce, The Lockport Rotary Club, a volunteer mentor in the LYNCS program at Lockport Township High School, an Hour of Hope sponsor in the American Cancer Society’s Relay for Life program and have spoken about fitness and health at a local elementary school. I not only have a new profession, but I feel now that I am of service to others instead of just drawing a paycheck! I successfully graduated my schooling with NPTI in July of this Year. I have been working at Urban Active since October of this year and have learned that the education I received at NPTI was priceless. From every bone to workout techniques the program gave me a head start to success. Knowing that everything I studied and learned was applicable in some way at some point was amazing. Currently I train up to 45 individuals ranging from 17 year old teenagers to 85 year old retirees that are laying old habits aside and taking fitness seriously on a day to day basis. Having the opportunity to start my education as a fitness professional with NPTI was one of the best decisions that I have ever made. I took a risk and moved almost 2,000 miles away from home to take my first leap of faith to Seattle, WA and while attending NPTI – it all began there. I found the best way for me to learn was the outstanding hands on education NPTI provided. 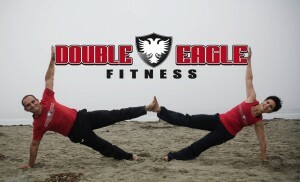 After graduation in April of 2009, I have taken my fitness education to a handful of new levels! After much hard work and determination, I earned a position as International Fitness Professional on a luxury cruise ship and was able to travel almost the entire world – all while having the most amazing office out in the middle of the ocean. Though I enjoyed that thoroughly, I felt I wanted to dive further into the yoga lifestyle. I have received a partial scholarship to attend a 4-week intensive yoga course in Chennai, India.